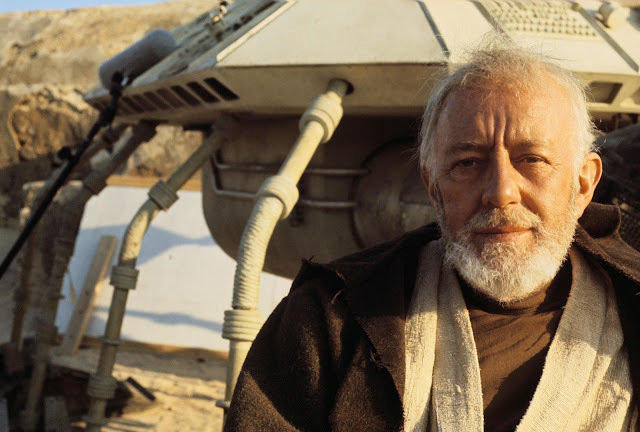 Sir Alec Guinness as Obi-Wan Kenobi. Besides his portrayal of Obi-Wan Kenobi, Guinness won acclaim for many roles on live theater, television, and film, including his Academy Award-winning role as Lt. Col. Nicholson in The Bridge on the River Kwai. He was honored with a knighthood in 1959, and an Academy Honorary Award in 1980. To date, he is the only Star Wars actor to get an Academy Award nomination for a role in any of the Star Wars movies. A common misconception is that he hated Kenobi. In truth, he loved the character, but later disliked being identified solely with his role as the Jedi Master.